UNICEF points out that vaccines must be stored at specific temperatures, which is just one of the many hurdles of providing medical care in the South Pacific nation of Vanuatu. The country is comprised of 80 mountainous islands and limited roads, which means that delivering vaccines can be incredibly difficult. Doctors currently have to travel sometimes for hours by foot to get vaccines where they’re needed. The vaccine delivery covered almost 40 kilometres of rugged mountainous terrain from Dillon’s Bay on the west side of the island to the east landing in remote Cook’s Bay, where 13 children and five pregnant women were vaccinated by Miriam Nampil, a registered nurse. Cook’s Bay, a small, scattered community that does not have a health centre or electricity, is only accessible by foot or small local boats. To deliver the vaccines for Joy, the drones, operated by an Australian company called Swoop Aero, carried styrofoam boxes packed with ice and electronic monitors to make sure that the vaccines never reached an undesirable temperature in the warm environment. During trials, the drones travelled over 31 miles (50 kilometres) and landed within 7 feet (2 metres) of its desired destination. 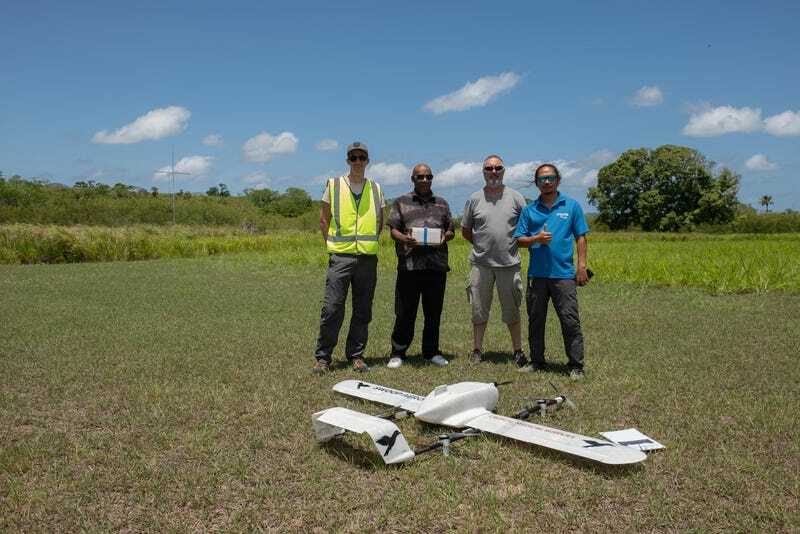 UNICEF notes that Vanuatu is very interested in utilising drones for not just vaccines, but also for delivering much needed medical supplies to remote and underserved areas. Companies like Amazon may be tardy in delivering the drone-future we were promised. But at least these drones are being used for good. We could use a lot more of that here in 2018, to say the least.